WHITE CLOUD, MI — April showers normally bring May flowers, but this year’s weather hardly has been normal. 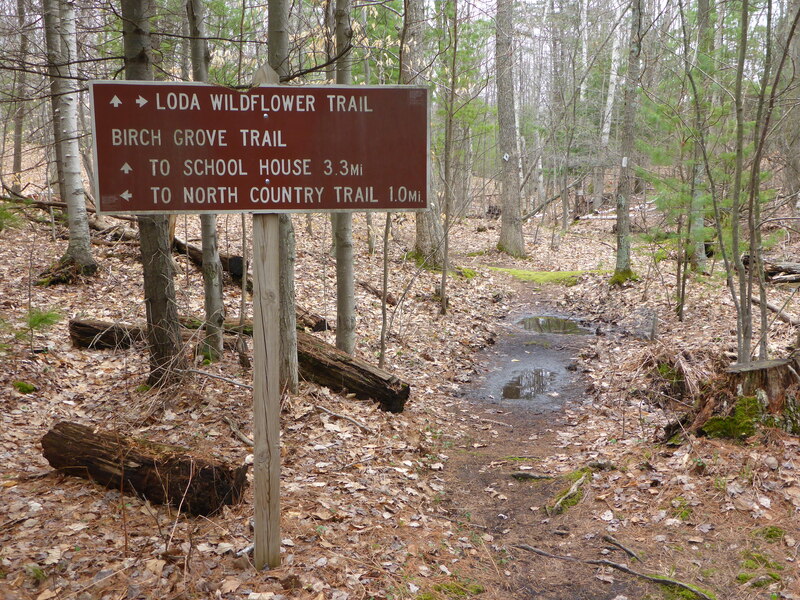 Lingering winter conditions and the late onset of spring delayed the usual early-season blooms at Loda Lake National Wildflower Sanctuary, a delightful destination in the Huron-Manistee National Forest where 400 species blossom throughout the season. 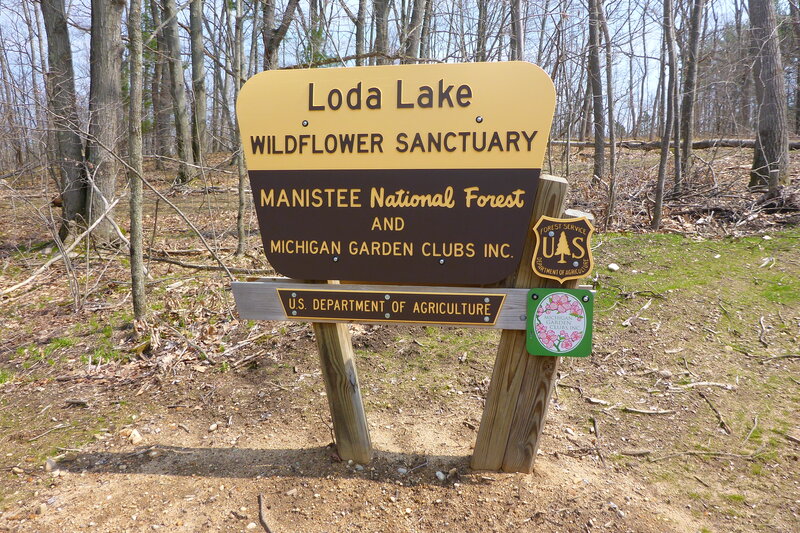 Loda Lake is America’s only National Wildflower Sanctuary; a project of Michigan Garden Clubs, founded 65 years ago. Its quiet surrounds, northwest of White Cloud, are increasingly visited by nature lovers, school groups and wildflower enthusiasts. The sanctuary received a facelift this year. 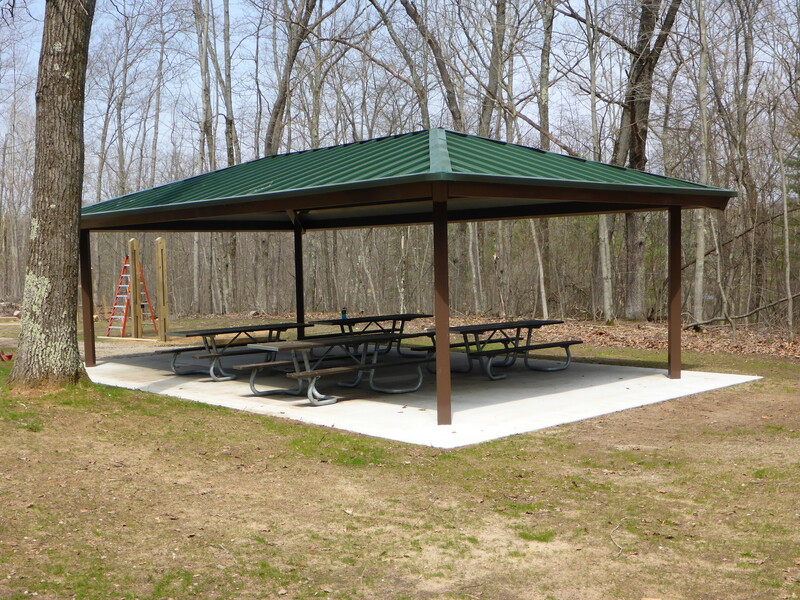 Its new amenities include a new entrance road, picnic pavilion, modernized toilet, and improved parking. Those important enhancements were made possible by donations from the Fremont Foundation and Michigan Garden Clubs. Loda Lake’s core attraction is its 1.2 mile self-guided nature trail. The pathway winds along the lake shoreline, through the surrounding forest, along a stream and by an old farmstead on the site. It is an easy and well-marked walk with benches interspersed along it. Flowers were just beginning to bloom on my recent visit, a day when forest staffers were putting finishing touches on the new amenities. McGhan said the old marsh boardwalk is also slated for repairs. 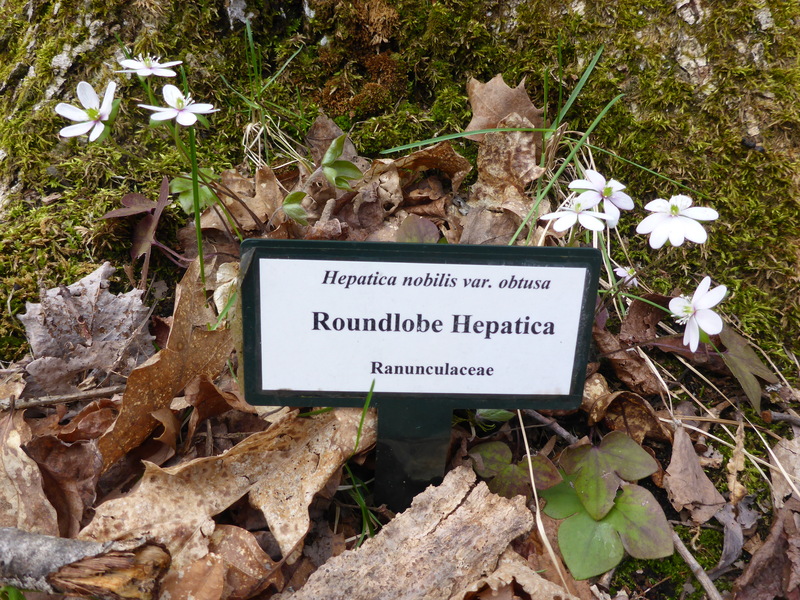 Tiny, round-lobed hepaticas were blooming on the trail along with star flowers and blood root, sometimes known as red puccoon. 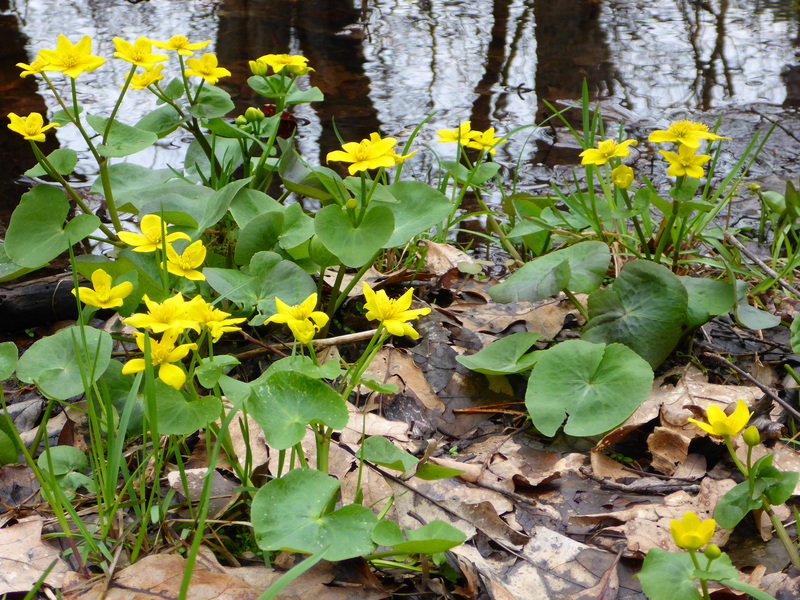 Bright yellow marsh marigolds grew along stream banks. Cinnamon ferns were just breaking through the leaf cover and wintergreen could be found all along the trail. The wildflower sanctuary is also home to pileated woodpeckers and an assortment of birds. The woodpecker signs were obvious; deep rectangular holes had been excavated in old standing snags. The resonant sounds of the birds hammering the trees floated through the forest as I walked. Loda Lake is a special place in the unique diversity of flowering plants that grow there. It’s a good idea to bring a wild flower field guide if you go, though many of the plants are labelled, or are listed on the self-guided trail map. Hikers can find unusual species like sundews, prickly pear cactus, jack-in-the-pulpit and wild lilies. The orchids were the reason it was made into a sanctuary – a means to protect them after the U.S. Forest Service acquired the property during the Civilian Conservation Corps (CCC) era, from 1933 to 1942. That was when millions of unemployed Americans were recruited to help reforest the nation as part of the popular national work relief program. Today Loda Lake is a national forest fee site. Visitors are required to pay a five dollar per-car fee on-site. Despite its unique and long-standing national status, Loda Lake wildflower preserve has been a relatively obscure attraction – one with far more to offer than prior appearances might have suggested. This year’s facelift is huge step forward, one that should elevate its status as an important Michigan tourist destination. If you get a chance to visit Loda Lake this year, pack a lunch and enjoy the day. This entry was posted in Uncategorized and tagged Conservation, Environment, Forests, Hiking, Huron-Manistee National Forest, Loda Lake, Loda Lake National Wildflower Sanctuary, Michigan Garden Clubs, National Forests, Nature, U.S. Department of Agriculture, Wildflowers. Bookmark the permalink.